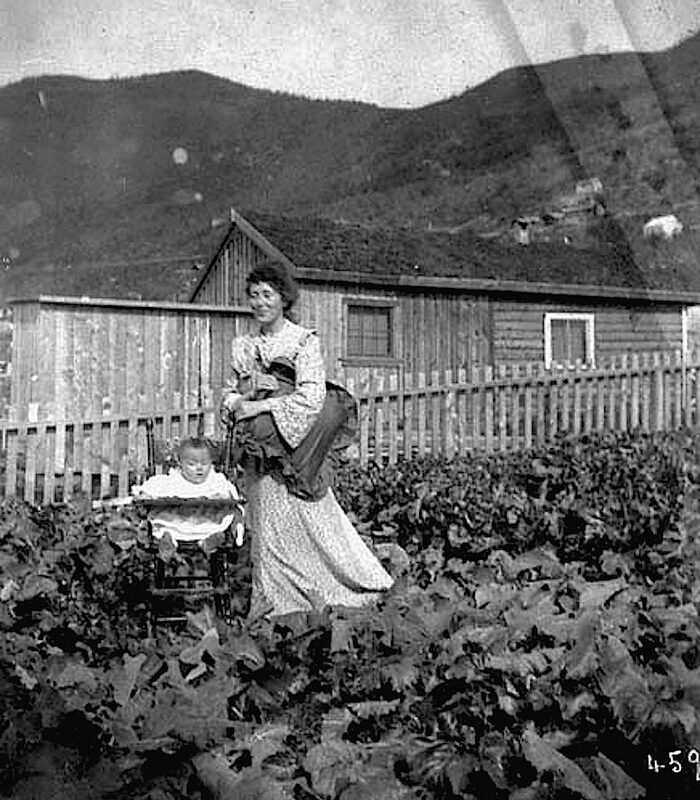 “Mrs B Captain, Ekins and garden, Savage Crescent,” Upper Hutt, New Zealand, ca. early to mid 20th c., by J.W. Chapman-Taylor, via Museum of New Zealand/Te Papa Tongarewa. 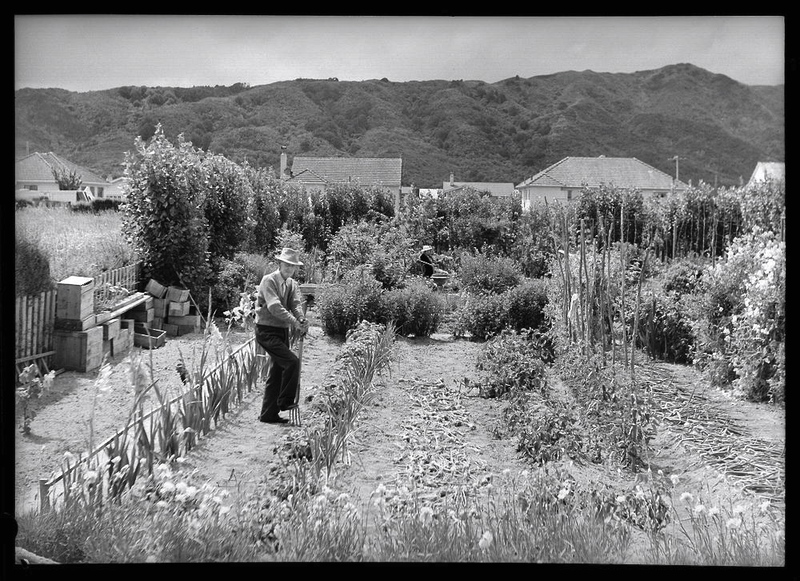 I wonder if the wooden crates stacked up on the left indicate that this was a market garden, which were common in the Hutt Valley until the 1940s. You can click on the picture to enlarge it (or click here and then on the image to zoom in even more). 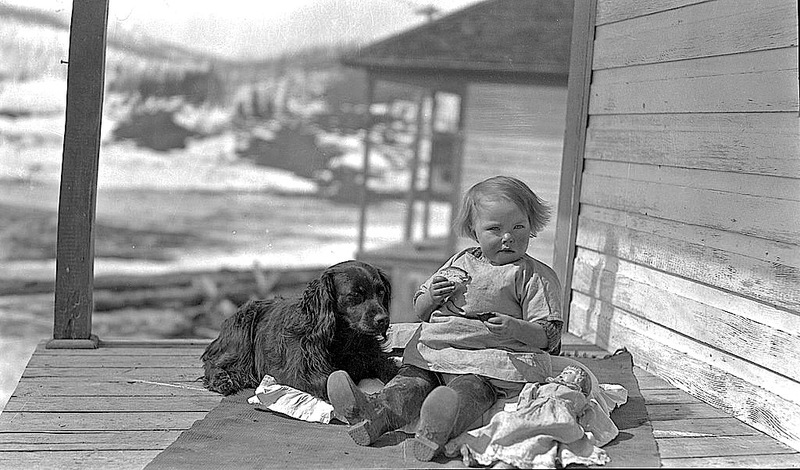 Chapman-Taylor was an important New Zealand domestic architect, builder, furniture designer, and photographer who lived in the Valley in the mid 1930s. 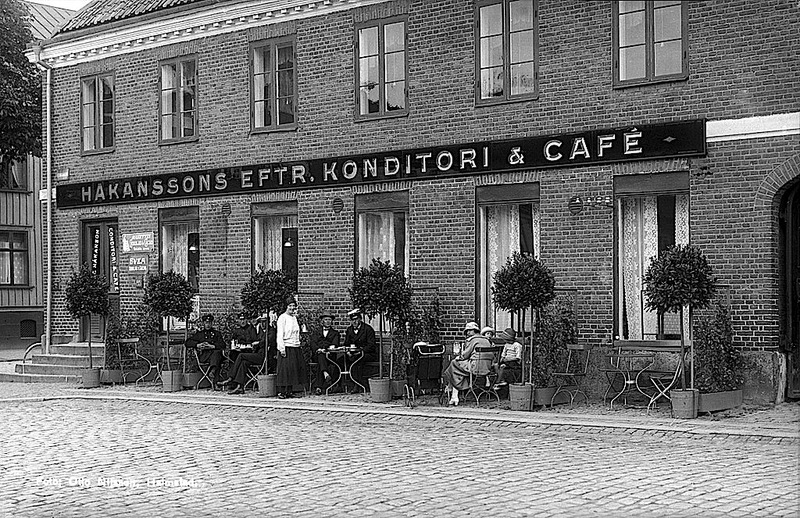 Cake shop and café in Halmstad, Halland, Sweden, between 1920 and 1939, by Otto Nilsson, via Swedish National Heritage Board Commons on flickr. 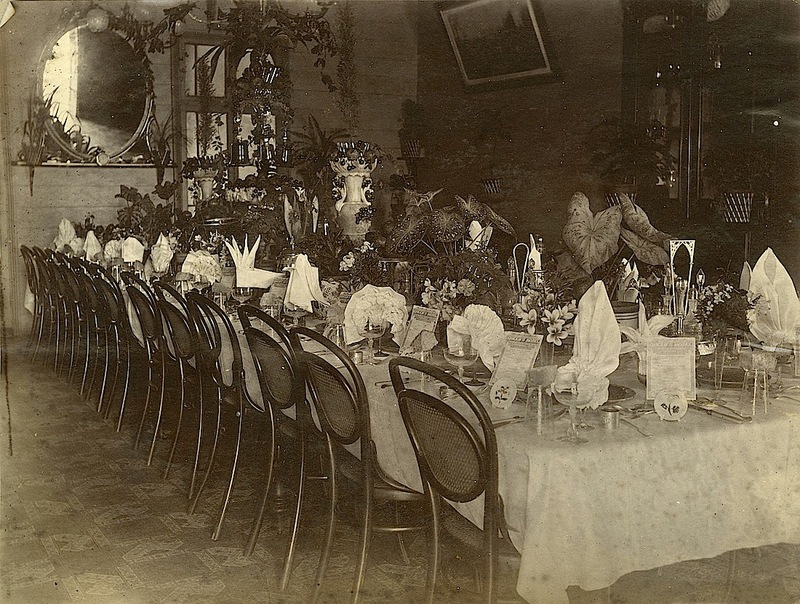 “Table set in preparation for a banquet at Queens Hotel, Townsville,” Queensland, ca. 1885, photographer unknown, via State Library of Queensland on flickr.